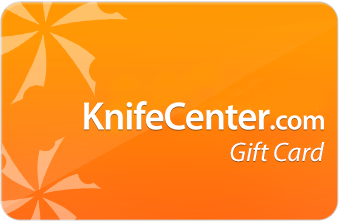 The standard for top quality folding knives. A compact folder modeled after the Sebenza, this knife is the epitome of refinement. These Sebenzas are crafted in small quantities or as unique items by Chris Reeve. They have very limited availability. Evolutionary folding knife from master craftsmen. Elegant gent's knife produced at the highest level of quality. A no-nonsense, hardworking tool, designed by Bill Harsey. The Impinda is a William W. Harsey and Chris Reeve collaboration slipjoint made to cut, fold and repeat. Classic hunting knife with leather sheath. Designed with Bill Harsey, a very effective weapon. Professional quality kitchen cutlery hand made in Idaho. About I have always "pushed the envelope." During the late 1970's/early 1980's, I raced grand prix style motorcycles. My outfit was funded far more by enthusiasm and passion than it was by hard currency. My dream was to become World Champion - we worked hard to produce every scrap of speed possible, using the best (albeit rather limited!) 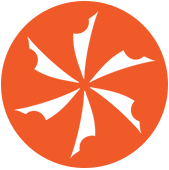 resources available. I did not win any World Motorcycle Championship but my passion to be the best in the world never left me. I channeled my enthusiasm into knife making - looking at every feature from a different angle, taking different approaches, using different techniques and different materials. The early years of Chris Reeve Knives were also funded more by enthusiasm and passion than by cash, but I have always striven to produce the best possible knives with the resources available to me. When Anne and I emigrated from South Africa to the USA in 1989, we embarked on an adventure to which we were totally committed. We offered ourselves no option of going back or of failure. As we built our business, we worked hard to put as much as possible into every one of our knives. By that, I mean that I have designed every model with deliberation, taking into account how the knife works and the intended purpose of the knife. I have chosen the materials with care, we have paid exceptional attention to the execution of every knife, and have backed our product with the best customer service we can offer. It is a privilege to have reached a point where we have a vibrant business, a great staff of 17 employees, and a company that has a world wide reputation for raising the standards bar - "pushing the envelope" - for the industry. Born in Durban, South Africa, Chris Reeve began his knife making career by chance. Before being called up for a compulsory annual national service period in 1975, he realized that one item missing from the standard army kit was a good all-purpose knife. He was an impecunious apprentice at the time so he decided to make a knife for himself. That first knife, filed entirely by hand was - as Chris himself says - of dubious design and execution, but the seed had been sown. He came across an article in a Guns and Ammo magazine about custom knife making and his interest was further piqued. He realized the shortcomings of his first effort and experimented through a further six or seven knives, each time refining design and technique. His training as a Tool and Die Maker gave him excellent grounding in steels, their idiosyncrasies and suitablilities, and in the use of machinery. Wherever he could find magazines on knives, he read them avidly, all the time learning of the “greats” in American custom knife making. It was during another three-month national service period, this time spent on the Angola/ Namibia border, that the One Piece Knife was born. Chris had designed and made for himself a hidden tang knife with a wooden handle, inlaid with silver wire and it was certainly the best looking knife in camp! However, the climate in Durban, where the knife was made, is hot and humid while the Angola/ Namibia area is semi-desert. After a few days in the dry air, the wooden handle had dried out and large cracks appeared. This set Chris thinking about a knife that could be used indoors or out, in hot weather or cold, in wet or dry - and which would remain impervious to all these conditions. The idea of an all steel knife, made from a single bar, started to germinate but, at this time, Chris’ spare time was fully accounted for by his other love, motorcycle racing, and he was competing in the South African National Championships. It was only a year and half later that he began researching the one piece concept in earnest and the first pieces (the 7 inch bladed MK II) became available for sale early in 1983. Chris finally stopped toolmaking and went into knife making full-time in January 1984. In order to improve business opportunities, he chose to move to the United States in March 1989, settling in Boise, Idaho. It was initially for the One Piece Range that Chris had become known worldwide and these knives were consistently exported to England, Taiwan, Hong Kong, Canada, Italy, France, Germany and Australia. Then in 1987, Chris began experimenting with a prototype folding knife that would complement the concept of the one piece knives. In line with the “impervious to weather” idea, the folding knife would have a titanium handle and stainless steel blade. Because Chris always strives for simplicity of design, a great deal of thought went into the locking mechanism to ensure an efficient, well-executed design that was aesthetically pleasing. Four years later, the Sebenza Integral Lock© Folding Knife was available. The knife has been acclaimed as the strongest folder on the market, and compliments from all sources have been abundant. A perfectionist in his work, Chris continually strives to ensure that only the finest quality work leaves the workshop and that the customer is completely happy with his purchase. The increase in volume from the first few one-piece knives to over 5,000 knives of varied designs that are produced annually by Chris Reeve Knives has caused Chris to learn skills in management and business, production manufacturing and marketing. No longer the person who physically makes the knives at Chris Reeve Knives, Chris now focuses much of his time on design and production matters. When time permits, Chris loves to make one-of custom pieces. These are always to his own design, although there is sometimes an influence - European or Japanese. The knives range from folders with unique locking mechanisms to elegant table cutlery. He is proud to call himself a cutler - maker of knives, forks and spoons. He loves to use exotic materials, frequently inlaying gold, pearl or wood into titanium or wooden handles to create an interesting contrast of color and texture. Because of his African heritage, Chris learned to love the many indigenous African hardwoods and uses them whenever he can. He learned much of his knowledge of wood from his father who, even as a young man, began collecting stumps and root sections. Many of the pieces Chris has used are considerably older than he is himself. In his leisure time, Chris follows motor sports, reads and enjoys the outdoors either camping or riding a motorcycle. Those few free weekends in the summer will usually find him in hills of Idaho, spending treasured time with his wife Anne, son Timothy and three elderly Miniature Schnauzers. It is important that every knife that we make performs to its optimum. We will make every effort to ensure that each knife leaving our workshop is correct in every aspect. If you find that there is a detail that you believe is incorrect, please contact us and discuss your thoughts with us. 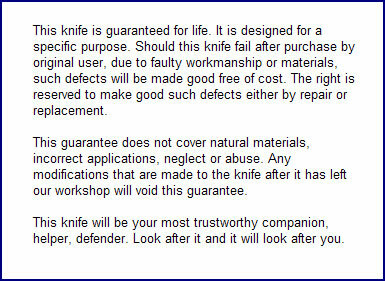 Likewise, if your knife develops a problem after you have had it a while, please contact us. “Diagnostics at a distance” are difficult so it is often necessary for the knife to be returned to us, but we will advise you accordingly. We will keep in contact with you so that you are advised of any costs that may be involved and a time frame for the return of your knife. One of the great things about our knives is that they can be refurbished readily. Whether fixed blade or folder, we can service your knife so that it looks great again and performs the way it was intended.